Are you finding yourself itching while using a BlackBerry smartphone? Believe it or not, you might actually be allergic to the device. A recent study conducted by the American College of Allergy, Asthma and Immunology (ACAAI) looked for two common allergens, nickel and cobalt. 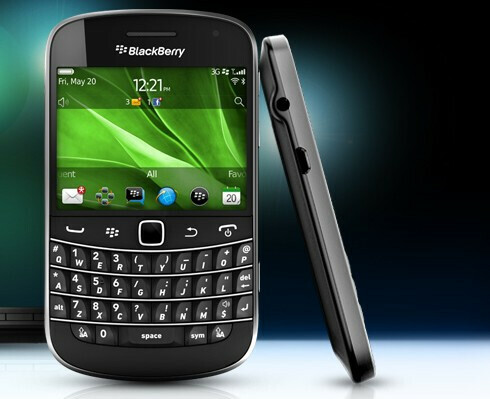 The study found that 1 out of every 3 BlackBerry models contains nickel. As a result, some BlackBerry users might find themselves with "dry, itchy patches along the cheek bones, jaw line and ears." Nickel is a common contact allergen affecting 17% of women and 3% of men. No traces of cobalt or nickel were found on the Apple iPhone or on Android models. On the other hand, those using once popular flip phone models could have some problems with allergies. 91% of those phones contain nickel and 52% of them tested positive for cobalt. Does the BlackBerry Bold 9930 make you itch? While this might not seem like a serious matter, the medical community does have a recommendation. Allergist Luz Fonacier, M.D says that BlackBerry users with a known allergy to cobalt or nickel should switch to an Apple iPhone or Android handset to reduce the chance of having a reaction. The Doctor adds, "Blackberry users with known allergies should avoid prolonged conversations, text messaging and handling their phones if they begin noticing symptoms." These symptoms include redness, swelling, itching, eczema, blistering, skin lesions and occasional scarring. If you are allergic to nickel or cobalt, which are used in coins, jewelery and makeup, and need to have a BlackBerry phone, the ACAII suggests that you use a plastic case, Bluetooth and a clear film for the screen. For RIM, this is just another piece of bad news that could possibly affect the slumping Canadian handset manufacturer. 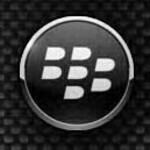 There is the possibility that the new BlackBerry 10 models to be launched early next year, won't contain nickel. HOW DARE U POST A COMMENT BEFORE I DO?!!! U'LL PAY I TELL U!!!!! U WILL PAY!!!!!!!!!!!!!!!!!!! In the great words of Muhammed Ali... "I done wrestled an alligator.......I done tussled a whale.....I hand cuffed lighting and thrown thunder in jail........IM FAST!" Indeed bulls**t... I have lost respect for iphonearena. This site is in the final phase of becoming a complete joke. not worthy to be called news!! iPhonearena strikes again! "if you are allergic to nickel or cobalt, which are used in coins, jewelery and makeup" lol... nickel and cobalt are use on most of the commonly use things! im pretty sure everybody has a coin! and most women has makeup and jewelry! so why allergic to BlackBerry? just want to write something more terrible to BB? People who're allergic to these materials probably don't use coins, jeweleries, make ups and whatsoever object made of these allergenic materials. As simple as that! Now stop with all these pathetic whines! This is still news, no matter how short or lightweight it is. What the article tells us is actually something, a study which has been conducted and whose result has been published. If this is not news, than what is it? If not because of this article, we might not really realize it at all. Let's appreciate what other people have written and the efforts they've made to provide us with something to read. lol...this news is telling people that BB is not for people with allergy!... but using BB is as good as using makeup, jewelry and having a coin! im pretty sure you have a coin... so do you have an allergy with it? I've had reactions to my class ring which had nickel in it but never heard of a phone doing it. I should've known this war. a Gizmodo write up, those guys hate anything not Apple. I'd love to see the figures of how many people are well and truly affected. I should've known this was a Gizmodo write up, those guys hate anything not Apple. I'd love to see the figures of how many people are well and truly affected. An article for this? What next? Some users maybe allergic to smartphone displays? And since when do doctors RECOMMEND iPhones or android handsets? Okay, iPhone is made by just one company - Apple. So you can find out if it uses these metals. Since when did android have anything to do with nickel or cobalt, LOL? Those s**theads (if they are doctors) could have suggested specific handset makers - not android as a platform! Maybe Sony phones don't have it, but Samsung also maybe uses Nickel/Cobalt? That would make sense. Looks like a very questionable article trying to BS BlackBerry. omg, this is serious? Wow, the world must REALLY hate RIM. Gotta love how he says they should switch to an Iphone or Android as though it was really necessary to suggest, since most former BB owners have such a phone. If you dont like blackberry, that's fine, don't like it. The fact of the matter is though, they are functional smartphones, just like the android and iphone. Android fans, don't fool yourself too much, but Android is in many ways copying the style of phone of the iphone, since it is a system that is reliant on touch screen operation and tapping on icons on the screen. Of course there's other differences for the platforms but the bare basics are the same. Thing is, a touchscreen grid-based phone isn't for EVERYONE. It may be the most popular style, but some people prefer the tactile keyboards and trackpads of a blackberry, which serves to have its own advantages. All the bad fluff and rumors on Blackberry is just basically trying to dissuade these people from their preferred style of phone, and its really sickening. not every one there are a few supporters out there. I like the company there just haveing a downtime hopefully they pull themselves up out of the dirt and release something cool for both the buisness and social person wich judging by what there saying they might have done so. either way its good to have more than one or 2 mobile operating systems competeing against eachother. coz you say hateful things that dont make sense! Such a bulls**t article, Alan F- this is my 3rd Blackberry and I have never experienced such.